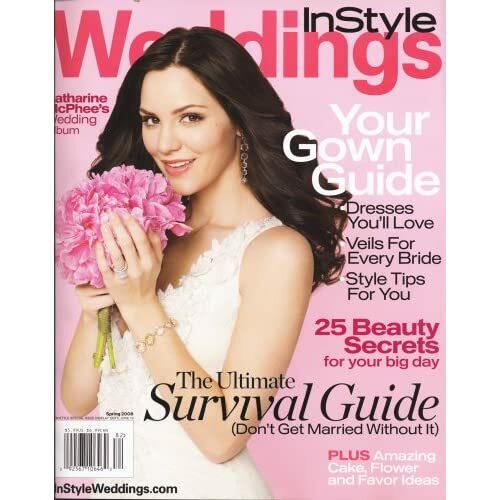 Spring 2008 issue of In Style Weddings has lots of interesting stuff. What I want to share with you today is "Gowns for every figure" that will help you finding the right wedding gown according to your figure. In lieu of a padded bra, try an angled Empire waist for the illusion of a fuller bust. Pull off a form-fitting gown by choosing a style with forgiving ruching. A sleeveless, belted gown displays toned arms and defines your waist. Control cleavage with a wrap bodice and shorter shoulder straps. Draping and pleats can help create the illusion of curves.